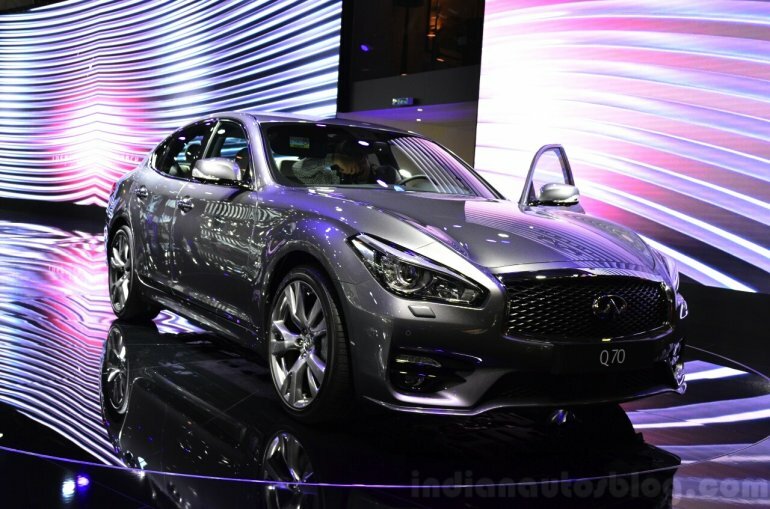 The Q70 for Europe will go on sale in December 2014. 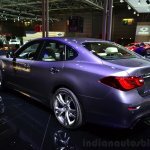 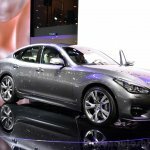 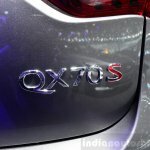 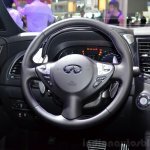 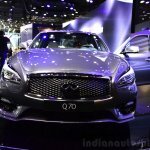 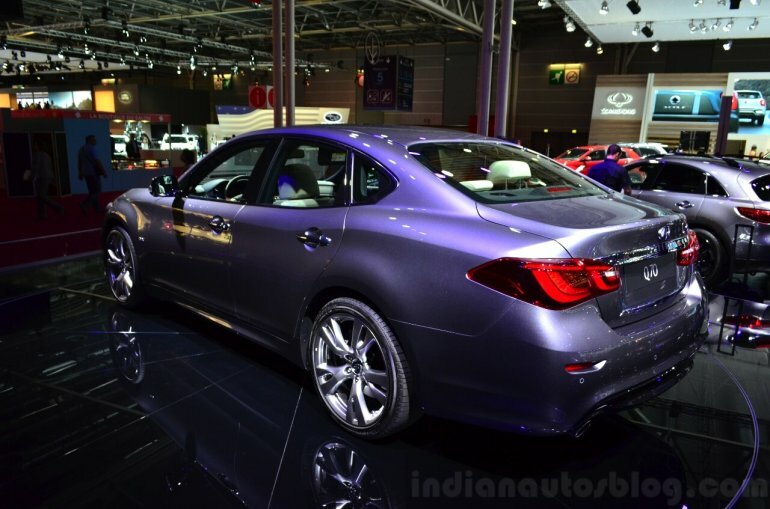 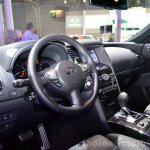 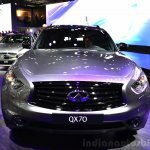 The 2015 Infiniti Q70 and the Infiniti QX70S Design special edition have also been unveiled at the 2014 Paris Motor Show alongside the Q80 Inspiration Concept. 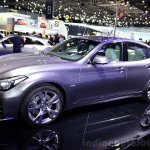 The updated Q70 makes its European debut at the show. 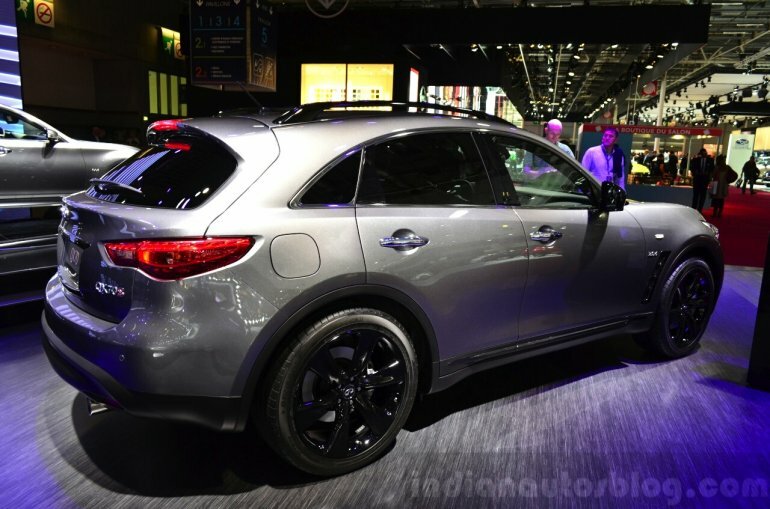 The visual changes come in the form of standard LED headlights, revised grille, reprofiled bumpers, standard 18-inch alloy wheels and LED taillights. 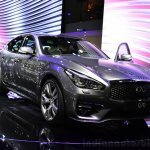 The overall design is now closer to that of the Q50 sedan. 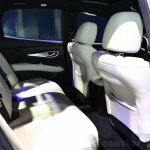 The interior stays pretty much the same but the company says that comfort has been improved while the noise levels have been significantly reduced. 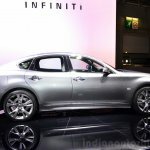 The suspension has also been revised to improve the ride quality. The European version gets a specific 2.2-litre turbo diesel motor which churns out 167 PS and 400 Nm of torque. The updated Q70 Hybrid is more efficient, thanks to a tweaked 3.5-litre V6 petrol motor with a coasting function. 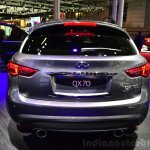 The new 2.2-liter turbo diesel four-cylinder engine pumps out 168 hp and 400 Nm of peak torque, augmenting the choice of powertrains to four. 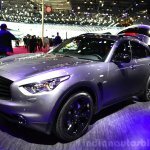 Formerly known as the the Infiniti FX, the QX70 crossover gets a special edition. 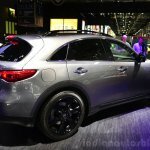 The Infiniti QX70S Design offers sporty touches like black chrome treatment for grille, foglight enclosures, fender vents and rear license plate surround. 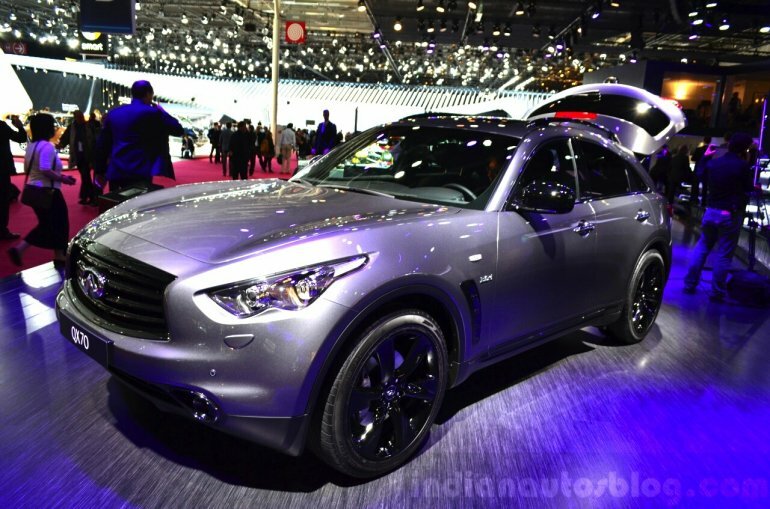 The headlamps receive a smoked effect and the black theme is carried on by the 21-inch alloy wheels, roof rails and ORVM housings. 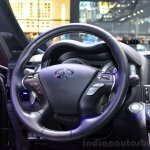 Inside, the dark theme continues with black lacquer finish for the centre console and purple contrast stitching for the seats, steering wheel, armrests and door pads. 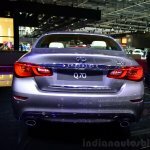 The 325 hp 3.7-litre V6 petrol engine mated to a 7-speed automatic transmission performs the propulsion duty. 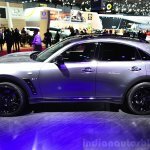 The crossover measures 4,859 mm tall, 1,928 mm wide, 1,679 mm tall and has a wheelbase of 2,885 mm.